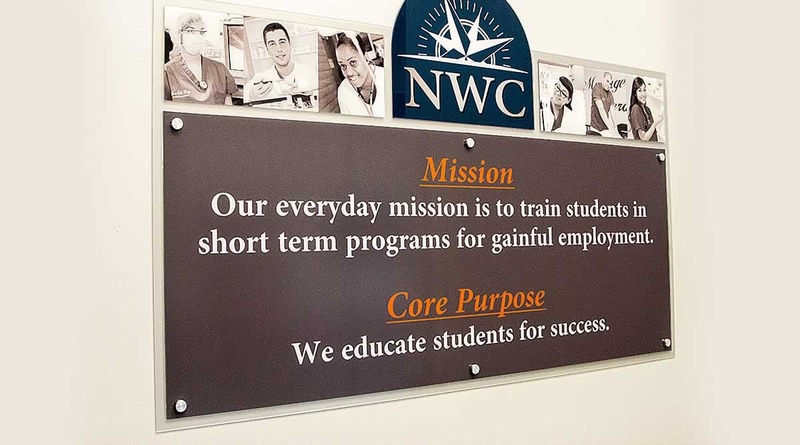 WEST COVINA, Calif.— North-West College (NWC) is pleased to announce that not one, but two, of its campuses have been recognized with the prestigious “School of Distinction Award” by the Accrediting Commission of Career Schools and Colleges (ACCSC). North-West College, Long Beach and North-West College, Santa Ana have both earned this esteemed award. The award is given to ACCSC-accredited institutions that have demonstrated a commitment to meeting the expectations and rigors of accreditation as well as a commitment to delivering quality educational programs. School of Distinction accolades will be given out at ACCSC’s 2017 Professional Development Conference to be held September 25-27 in Reston, Virginia. The award will be personally presented to North-West College by ACCSC Executive Director, Dr. Michale McComis, who was also a keynote speaker and honored guest at SEC’s own Professional Development Conference, held this past May. To learn more about North-West College or NWC’s health care training programs, please contact Nancy Aguillon at NancyA@success.edu. Founded in 1966, North-West College has been committed to training individuals to enter and advance in the health care field for nearly 50 years. A leader in allied health education, the College offers 12 short-term programs at seven campuses throughout Southern California, including West Covina, Pomona Valley, Pasadena, Glendale, Riverside, Santa Ana, and Long Beach. Accredited by the Accrediting Commission of Career Schools and Colleges (ACCSC) and approved by the Bureau for Private Postsecondary Education (BPPE), North-West College offers a supportive educational environment for those ready to start a health care career. To date, the College has graduated more than 45,000 students—individuals who have gone on to raise the standard of excellence at health care organizations of all types.